The Pawn Estate Jewelry Mesa Store is the place to be for your jewelry! What is Estate Jewelry anyways? Estate jewelry is loosely classified as any type of jewelry that is previously owned. 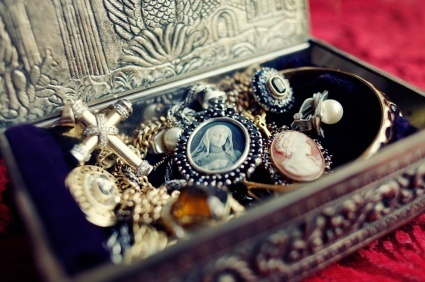 Many people commonly refer to estate jewelry as antique jewelry, vintage jewelry, and period jewelry. Typically estate jewelry will not be accompanied by a receipt or any sort of authenticity papers as it can very well be over hundreds of years old. B And B Pawn And Gold values the importance of your precious pieces, and one of our friendly trained staff members can correctly appraise and authenticate your jewelry, gold, and diamonds. For more information on the history of Estate Jewelry and the various periods, see Estate Jewelry on http://en.wikipedia.org/wiki/Estate_jewelery. With many years of extensive knowledge within the jewelry and diamond industry, B And B Pawn And Gold loans the most cash on all previously owned and new estate jewelry pawn loans. We offer free appraisals on your estate jewelry and we are able to turn your estate jewelry into cash within minutes. You know longer have to part with your cherished keepsakes when you can get an Estate Jewelry Pawn Loan from us. B And B Pawn And Gold is a full service Pawn Shop and collateral lender. Through the years we have earned and still retain the business of satisfied customers who have turned to us time and time again to buy, sell, and provide an estate jewelry pawn loan against their gold, diamonds, and other collectibles. What type of jewelry can I get an Estate Jewelry Pawn Loan on? 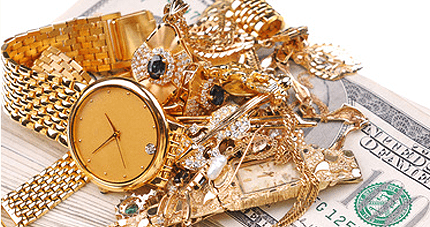 B And B Pawn And Gold offers Estate Jewelry Pawn Loans all jewelry items new or vintage. diamonds, watches, colored gemstones, designer jewelry, gold, silver, and platinum. We’re able to make an estate jewelry pawn loan on individual items as well as an entire lot and always loan the most cash on your estate jewelry. We will make pawn loans on 10K, 14K, 18K, 22K and 24K new or vintage estate jewerly. We are also actively seeking Rolex, Tiffany, Cartier, and other fine brands of jewelery to loan on as well as any watches or other unique jewelry of value. How do I Pawn Estate Jewelry? Pawning Estate Jewelry has never been easier here at the Pawn Estate Jewelry Mesa location in B and B Pawn and Gold. Just bring in your jewelry, we’ll provide you with a free, no obligation quote and have you on your way in not time with the cash you need.